Ever tried making this treat? 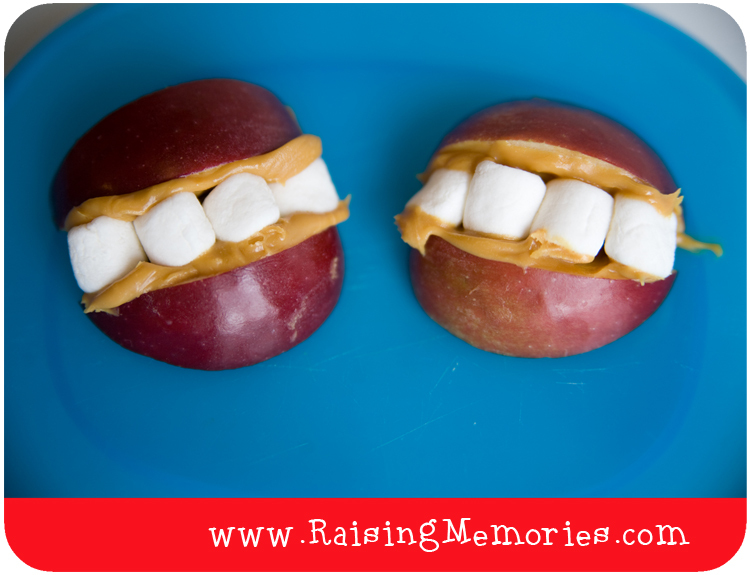 All you need are mini marshmallows, peanut butter (or something like it) and red apples. I laughed out loud! These are too cute. These apple smiles are so much fun. Maybe my kids might actually eat apples this way. LOL! I would love it if you would share them on my new linky party Dare to Share. Heather - have you met my 9 year old?? You must have! She is a teeny bit fussy but LOVES apples, peanut butter and marshmallows. This is a must-do for me. Thanks for sharing it! !